It was only a matter of time. Frozen, one of Disney Animation’s most popular films ever, has had a growing presence across various Disney Parks. There are meet-and-greets with Anna and Elsa (which are often accompanied by huge lines), floats inspired by the film have made their way into daily parades, and Hollywood Studios at Walt Disney World is currently in the midst of presenting a variety of Frozen-themed entertainment, capped off by a fireworks display set to music from the film. The biggest addition is still to come, at neighboring Epcot, where the world’s first Frozen ride will make its debut! Tom Staggs, chairman of Walt Disney Parks and Resorts, took to the Disney Parks Blog to confirm what has long been rumored – that construction is beginning on a Frozen attraction located in the Norway Pavilion inside the park’s World Showcase section. The ride will replace Maelstrom, which took guests on a boat ride through Norwegian culture, both historical and mythological. Staggs did not provide a timeline for when we can expect to see the attraction completed, or even when Maelstrom will close. It would be best to enjoy Maelstrom as soon as you can if you are hoping to experience one last ride through. We also do not have any further details on the nature of the Frozen attraction. 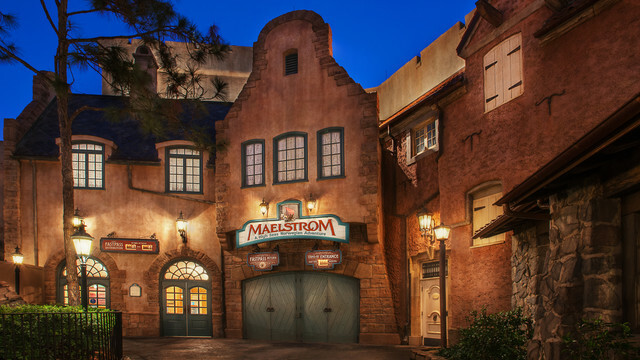 Will Maelstrom simply be re-themed to Frozen, or will the upcoming attraction be entirely brand new? We will have to wait and see.